San Francisco is a seven-by-seven box of chaos that is hard to escape. Spending as much as a few hours out of the city can change my mood completely—I find it easier to focus and I am more relaxed once I am out of the hustle and bustle. 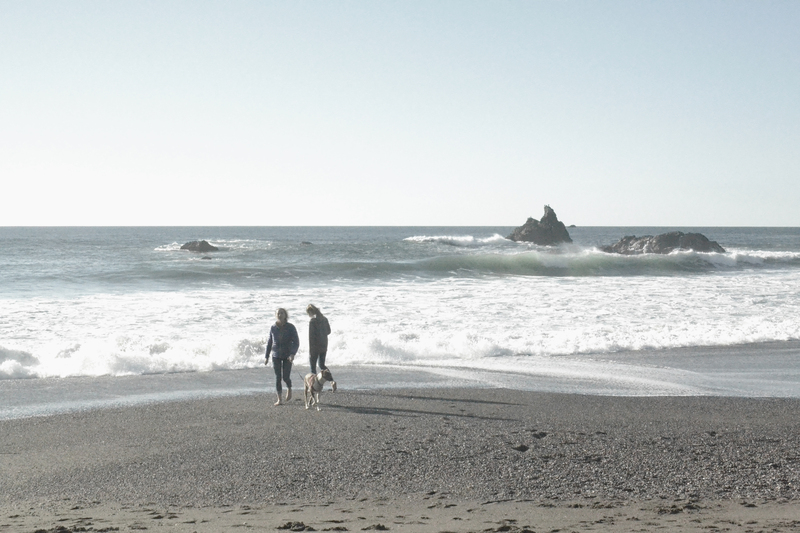 With that in mind, my friends and I spent the last weekend completely off the grid, watching the ocean and taking hikes in Bodega Bay. We walked for three hours on Doran Beach and the hillside next to it. We took photos, hung out with all our dogs (three very big dogs) and talked for hours. It was a relaxing day that let me forget all about my homework and responsibilities for the afternoon. San Franciscans are lucky enough to have things closer than Bodega Bay, for instance Golden Gate Park and the Marin Headlands. With these places so close by, we can go and get away at any time, while still not being too far away. The San Francisco Botanical Garden in Golden Gate Park is such a dense environment, you can spend hours walking around and never walk down the same path twice. There are endless types of gardens there that represent different styles of garden beauty. There is a redwood forest that is so dense in certain areas when you look up you can not see the sky. Just across the Golden Gate bridge, the entirety of the Marin Headlands is waiting. The Headlands are a scenic maze that is beautiful to get lost in, with hiking trail after hiking trail covered by thick layers of fog and thousands of succulent plants. It all makes the Marin Headlands an amazing place to spend the day.